The name Rick Moody will be familiar to anyone who keeps current with American writing. He’s the recipient of several awards and fellowships, including the Pushcart Prize, a Guggenheim fellowship and the PEN/Martha Albrand Award for the Art of the Memoir, and his lauded 1994 novel The Ice Storm was filmed by director Ang Lee. Moody is hanging around the MAGNET shop this week mostly because of his side job as one-quarter of the Wingdale Community Singers, a remarkable collection of writers, musicians and artists of varying stripes. Once pegged as an “urban folk” group that wrote old-timey songs about modern topics such as cross-dressers and funky Brooklyn culture, the Wingdales just released their second album, Spirit Duplicator, on the Scarlet Shame label. In addition to his writing and recording projects, Moody is guest editing magnetmagazine.com this week. Read our Q&A with him. Moody: I didn’t get it at first, the Sun Ra thing. 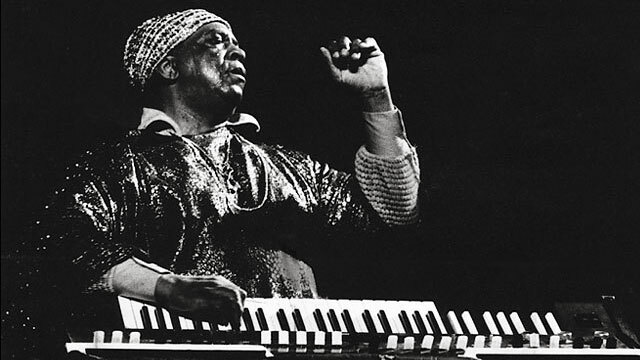 Or maybe I kept trying to like the more earnest jazz players, like Bill Evans or Gerry Mulligan or Chet Baker or Joe Pass, which I guess means mostly white jazz, and I failed to see the humor in a lot of jazz, in Sun Ra’s case, in anyone else’s case. (I liked early-’70s Miles Davis, and that was about it.) But then I was trying to like the sort of antic ’80s incarnation of Sun Ra, which is a certain historical moment in his development. The matter rested there for a while, notwithstanding the artist’s passing. And then a few years ago I was out west trying to work on a novel, and I went to a great used music store in Tucson and picked up this one, backed with Art Forms For Dimensions Tomorrow, and for a change I totally got it, the heavy reliance on tribal percussion, with strange period effects, echo and reverb. It’s a beautiful, strange album, totally singular, but also recognizably of Sun Ra’s output. When I got this one under my belt I was suddenly a lot better at understanding Space Is The Place and other similar efforts as well. I suppose I needed the really experimental impulse first, and the more conventional and more ballad-oriented and standard-oriented opuses made more sense to me thereafter. The same was the case with Rahsaan Roland Kirk, by the way. And Mingus. Now I love all of them. And Bill Evans doesn’t sound too earnest anymore either. Not to mention Coltrane, Sonny Rollins, Max Roach, etc. Video after the jump.